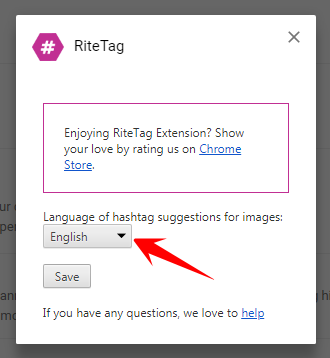 The RiteTag browser extension and mobile application are very helpful not only for marketing to an English speaking audience, but also to those communicating, searching/curating within social and mainly doing business in other languages. 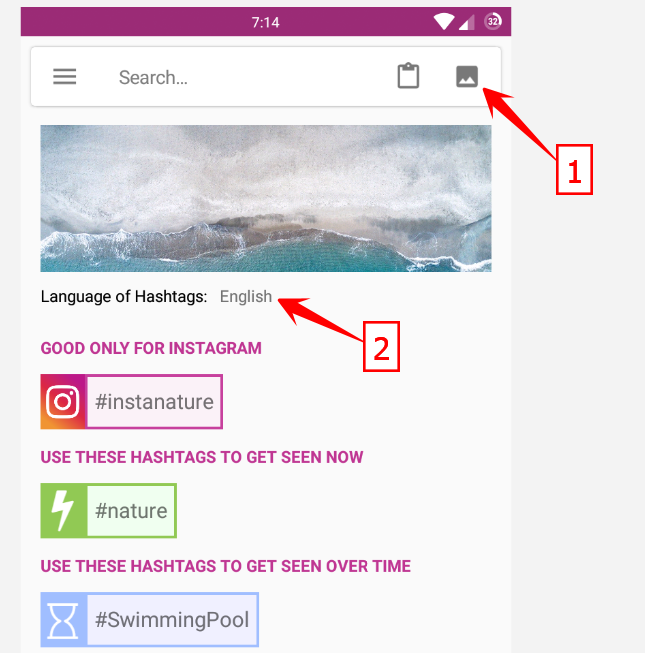 With RiteTag Pro, get hashtags for any image in Spanish, French, Portugese, Italian, German, Dutch, Russian, Arabic, Danish, Korean, Japanese, Indonesian, Hindi, Russian, Ukranian, Thai, Polish, Malay, Norwegian, Swedish, Turkish and many other languages. They're great for engagement in Instagram, Pinterest, Twitter, Facebook and other social networks. Test hashtags for images, including your own (the Upload my image button), on the Dashboard. If you're in the RiteKit site, click "Hashtags" at the top. 1) Login to the RiteTag extension if you're logged out. A subscription to RiteTag (paid) is required, and you need to always login with the same social profile or you will not access your paid RiteTag account. 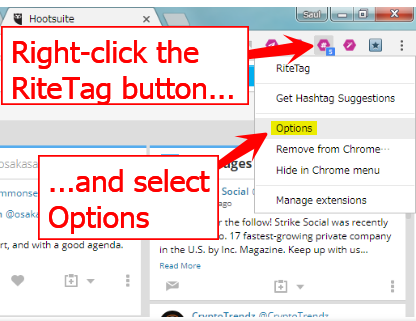 2) Right-click on the RiteTag browser button and select Options. 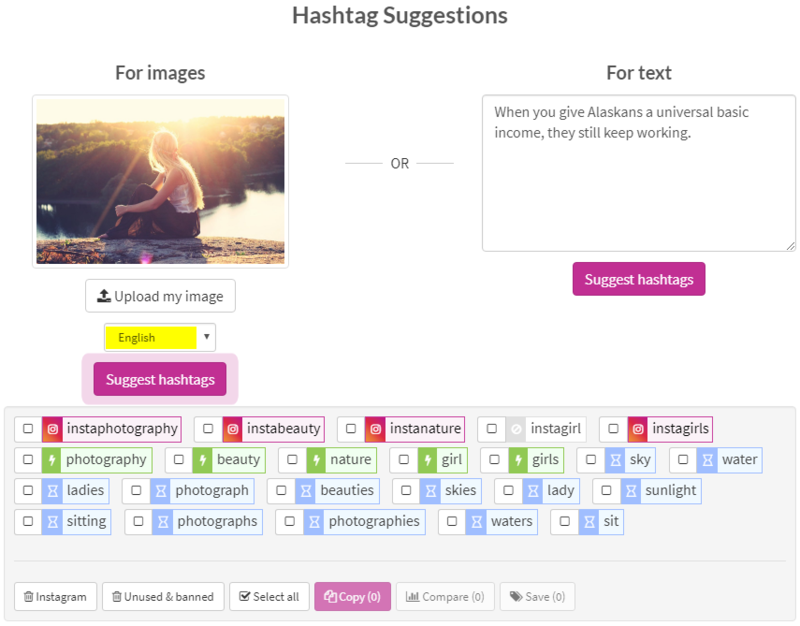 3) Choose from the many languages that the RiteTag extension will use when providing hashtag suggestions for images you right-click on.